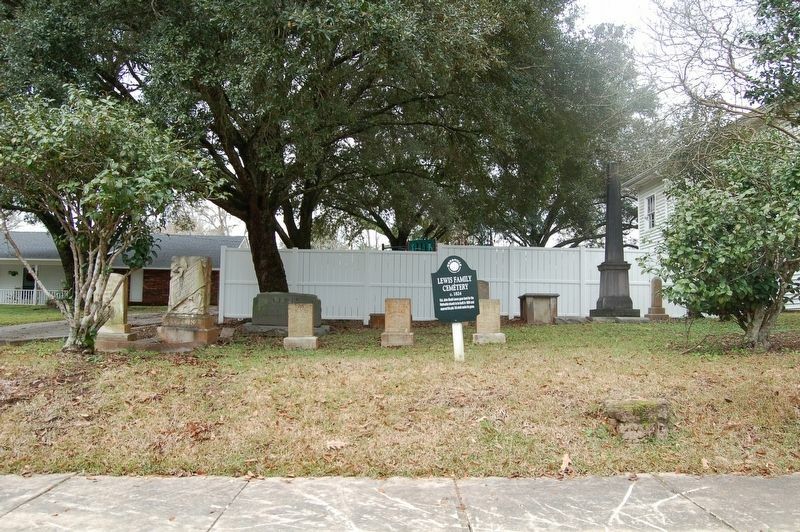 Col. John South Lewis gave land for the Methodist church to be built in 1824 and reserved this plot. Tall shaft marks his grave. Location. 31° 6.208′ N, 91° 18.192′ W. Marker is in Woodville, Mississippi, in Wilkinson County. Marker is on Sligo Street south of Main Street (State Highway 24), on the right when traveling south. Touch for map. Marker is in this post office area: Woodville MS 39669, United States of America. Touch for directions. Other nearby markers. At least 8 other markers are within walking distance of this marker. Old Christian Church Parsonage (about 600 feet away, measured in a direct line); Beth Israel Synagague (about 600 feet away); Rabbi's Home (about 600 feet away); Branch Banking House (approx. 0.2 miles away); Woodville Blues (approx. 0.2 miles away); Woodville Presbyterian Church (approx. ¼ mile away); Wilkinson County Courthouse (approx. ¼ mile away); Old Bank of Woodville (approx. ¼ mile away). Touch for a list and map of all markers in Woodville. More. 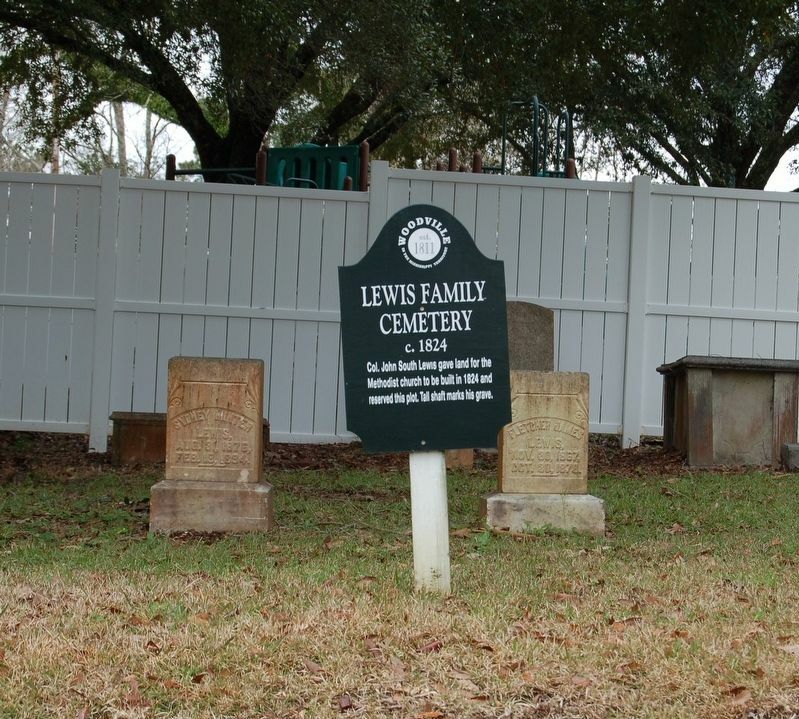 Search the internet for Lewis Family Cemetery. Credits. This page was last revised on March 3, 2019. This page originally submitted on March 3, 2019, by Cajun Scrambler of Assumption, Louisiana. This page has been viewed 40 times since then. Photos: 1, 2. submitted on March 3, 2019.